Florida lawmakers are preparing to implement Amendment 2, which is the state’s medical marijuana legalization law. For now, there are only seven companies licensed to cultivate and distribute marijuana in the state. They have been busy too – raising funds and spending millions of dollars to grow their new operations and shield what they have at stake in what promises to be a highly profitable industry. They are pushing to expand access to the drug. How so? By hiring an estimated 60 lobbyists to represent their interests to state lawmakers in charge of writing the detailed provisions of the broader marijuana law, approved by state voters in November at the same time California voters approved recreational marijuana. Patients and doctors too are pressing state officials to expand access, as well as improve the affordability of the drug and increase the diversity of available strains. There are competing interests, to be sure. For example, doctors and patients favor a framework that is more competitive, saying the current seed-to-sale vertical integration system that only licenses seven companies creates a virtual monopoly that gives marijuana cultivators a lot of power. They say it’s a “jackpot” for a fortunate few companies, but it gives those firms the ability to hike up the prices and may stifle innovation. Of course, those seven companies say it’s important for the state not to start out too big, with more operations than it can reasonably oversee. One thing both the marijuana businesses and patients agree upon is the desire to initiate immediate access. Amendment 2 already expanded the number of patients who may be eligible for the drug from a few hundred to hundreds of thousands – creating an industry that could top $1.6 billion within the next few years. The Compassionate Use registry currently has 4,000 patients and 600 doctors, but has the potential to get much bigger. Some senators have started a plan that would pave the way for a slow growth expansion of licensed marijuana providers. 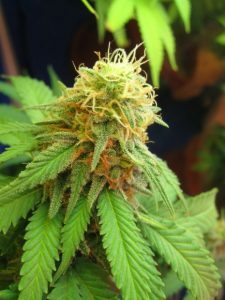 However, others are advocating for a regulatory setup that would open the door to hundreds of licensees, including cultivators, producers, distributors and sellers. Although these are two very different approaches, both would technically fall in line with language of Amendment 2, but the broad language of the action allows for a fair amount of debate about what what level of access is “reasonable” and the degree of diversity to which patients should be entitled. Florida’s framework could be telling. For one thing, it’s a southern state, with many counties tipping conservative on the political spectrum. It’s also one of the largest states in the country, so the economic impact will be huge and a lot of other states in the Southeast could be looking to follow its lead. One of the new bills proposed would allow for up to 20 new marijuana vendors in the six months after the number of registered patients tops 500,000. That measure would also double the amount of marijuana a physician could prescribe to a patient (a 90-day supply versus a 45-day supply) and would also reduce the amount of physician training on medical marijuana from eight hours to four hours.